Ferienwohnung Marie is located in the 1. OG of the apartment building To the pharmacy aisle in a quiet cul de sac. 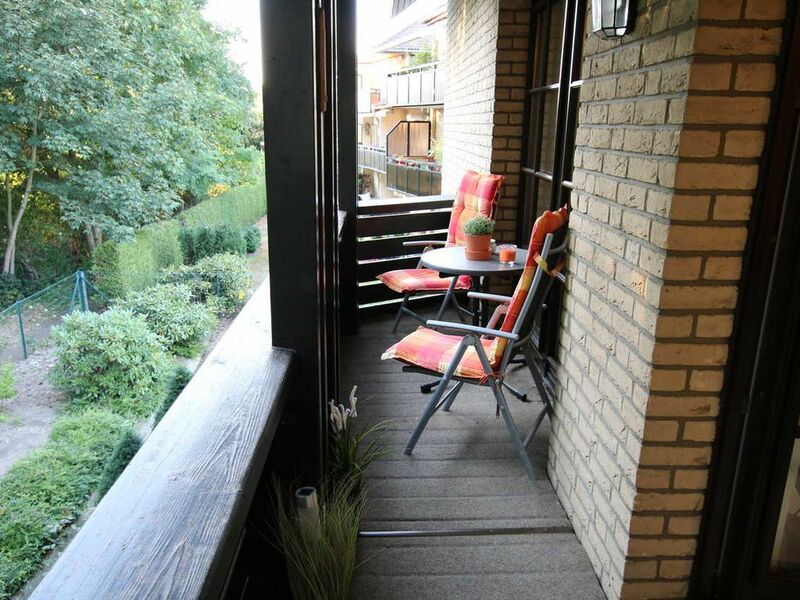 The covered balcony offers a beautiful view of the countryside, you can park at the object and within walking distance of all major facilities, as well as the city center and the spa center. The landlord provides you with two rental bikes free of charge. The apartment is comfortably equipped. Highlights include a large box spring bed measuring 1.80 mx 2.00 m and of course free Wi-Fi. A washing machine is available in the laundry room, and bicycles can be stored in a lockable bicycle storage room.